Rating: 87 percent based on 981 votes. 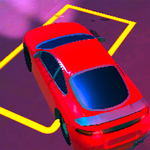 Description: A fun racing game where you get to choose your favorite sports car and race it across many different levels and try and finish first. Ear money for finishing first which you can use to unlock more cars or levels.